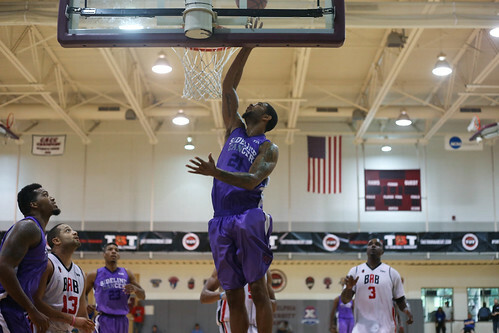 Sideline Cancer did not need to win a single game to be considered a big winner in TBT 2015. Playing for the Greg and Cathy Griffith Family Foundation for the second consecutive summer, GM Billy Clapper brought back more than half of his 2014 roster to try to win $1 Million and garner awareness for a great cause. Let’s see what they’re up to now. 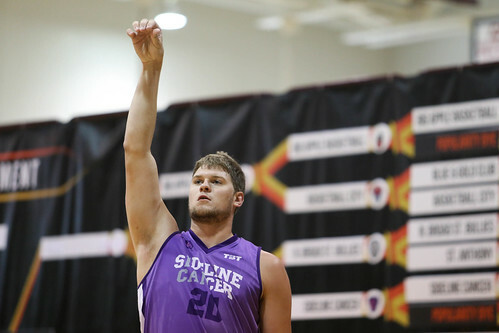 The 6-foot-8 forward averaged 5.3 points and 4.7 rebounds per game for Sideline Cancer in 2015. After starting his college career at Boston College where he helped lead the team to the Sweet-16 in 2006 (the last time the Eagles have made it that far) McLain transferred to Indiana University of Pennsylvania where he averaged 15 points and 8 rebounds per game in his senior season. A lefty, McLain is currently playing in Cyprus for Enosis where he can bang down low with the best of them and also serve as a stretch-four who can hit the outside jumper. It seemed like in each of Sideline Cancer’s three games they had a different player or two step up and give them that extra boost they needed. In the team’s nail-biting 70-67 win over Big Apple Basketball to advance to the Super-17 that player was Jarryd Cole. Notching a double-double with 16 points and 10 rebounds, it was not pretty for Sideline Cancer, who led by as many as 22 at one point but, it was enough to get the job done. Cole is in France this season, leading Souffel with 13.3 points and 6.6 rebounds per game. If Cole was Batman in the team’s win over Big Apple Basketball, Johnson was Robin. Collecting a double-double of his own with 11 points and 10 rebounds, Johnson provided solid secondary production all tournament long, averaging 8.7 points and 5.7 assists. This season he is the unquestioned leader of the DCU Saints, located in Dublin, Ireland, dominating the league with 26 points and 18.7 rebounds per game. The 6-foot-9 forward started his collegiate career at Arizona State before transferring to Drake for the 2011 and 2012 seasons. Woods is currently in Finland playing for Ura Basket. Conley brought D-League experience to Sideline Cancer having spent three games in the 2014-2015 season with the Erie BayHawks. Following TBT, Conley signed with the Niagara River Lions in Canada where he suits up alongside Team Virginia’s Sammy Zeglinski, Marcus Lewis from the Bad Boys and the Illinois Hoopville Warriors’ Billy Rush. The pride of Iona, Bowman appeared in two NCAA Tournament’s in his illustrious college career that started at Penn State, moved to Midland College in Texas and finally ended up at Iona. 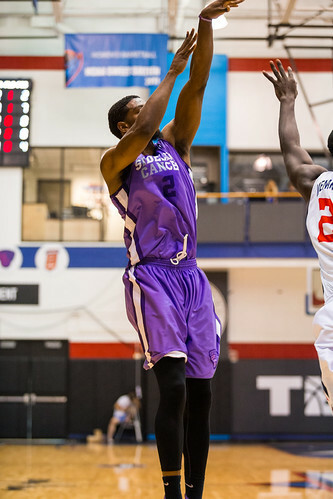 Bowman had his best game for Sideline Cancer right off the bat, scoring 16 in their opening round 72-63 win over the North Broad Street Bullies. From there it was off to Germany for the 24-year old, where he is spending the year with ETB Wohnbau. A standout for Sideline Caner in 2014, Robinson came back for more last summer, dropping 16 points in their win over the North Broad Street Bullies and another 11 against Big Apple Basketball. A New Yorker at heart having been born in Brooklyn and going to college at the University of Buffalo, Robinson started the year playing in London but left due to injury. He’s currently working as a director for ‘Mo Motion’ basketball training company. Parker was twice the leading scorer for Sideline Cancer, scoring 17 in their win over the North Broad Street Bullies and 19 in their loss to City of Gods in the Super-17. 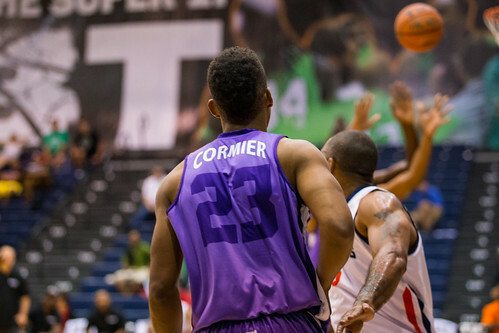 Along with owning a sole proprietorship to train kids in basketball skill development, Parker also works as a warehouse supervisor/logistics technician for the Kellogg Company at a cereal plant in Lancaster, PA.
Cormier, who last played club last season in Holland, scored two points in each of Sideline Cancer’s first two games, before having a standout performance, dropping 18 in the team’s loss to City of Gods. Originally from South Carolina, Vance played JUCO ball at Harcum College in Pennsylvania before transferring to Millersville University just over 70 miles down the road. After college Vance spent a couple seasons playing for the Harrisburg Horizon in the Eastern Basketball Alliance. Although he is not currently playing anywhere, Vance continues to train while also working in sales for Frito Lay’s.